Why GMail is not changing all server certificates in synch? I’m accessing my Gmail account from behind HTTPS proxy – it was described is this post. Thunderbird does not support it, for IMAP and SMTP only SOCKS proxy can work. To cope with it I’m using a small local proxy, that redirects any connection via proxy CONNECT method to remote host:port. This works fine, but in email client I had to set IMAP server as localhost and SMTP server also as localhost. 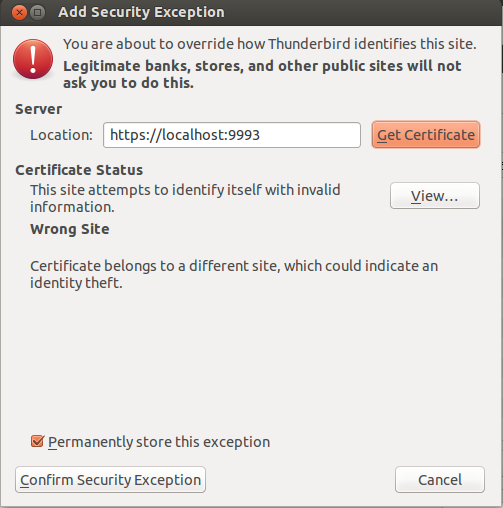 Thunderbird is cautious about it and since both connections are using TLS/SSL then there is a security issue – I’m connecting to localhost, but certificates are for *.gmail.com domain. Luckily Thunderbird enables me to set security exception – it asks me if I’ll allow that certificate for that host address, if I confirm everything works like charm until Gmail changes certificate on servers (which happens about couple time per year or so). They indeed have many servers load balanced, now what happens during certificate change – some servers have already new certificate, and some have old one. If my client by a chance connects to a server with new certificate, I get security warning again, because certificate in the stored permanent exception is different. Again I confirm, but then what happens then – next connection goes to other server, which still has old certificate and I get again security warning and next connections goes to server with new certificate, next next to old and so on, round and round. 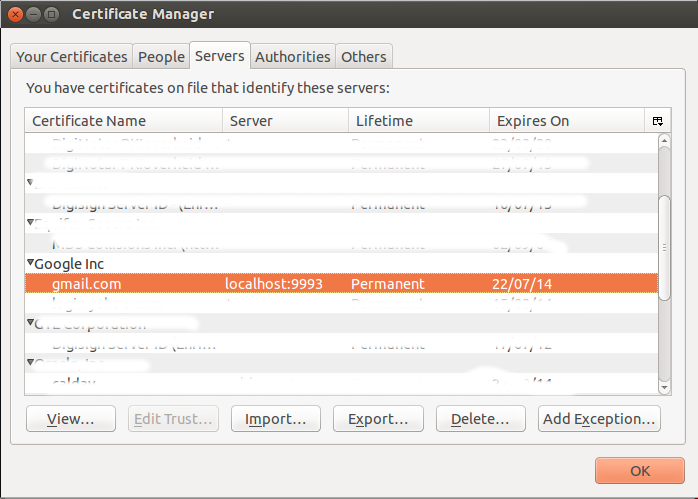 This goes on for several days usually – why they cannot change and sync all certificates at once? Why it takes so long? I do not know, but if you do I’ve like to hear why.